In the early morning hours of October 14th, I opened my eyes and looked out the window at Hood Lake at the Lakefront Hotel and saw the float planes taking off over the water. This would be my last morning in Alaska for a few months. I was quite excited about all of the traveling I had coming up, but I was a complete bundle of nerves over the logistics of it all. I took a moment to write down all I was grateful for and the journey that had brought me to this moment. 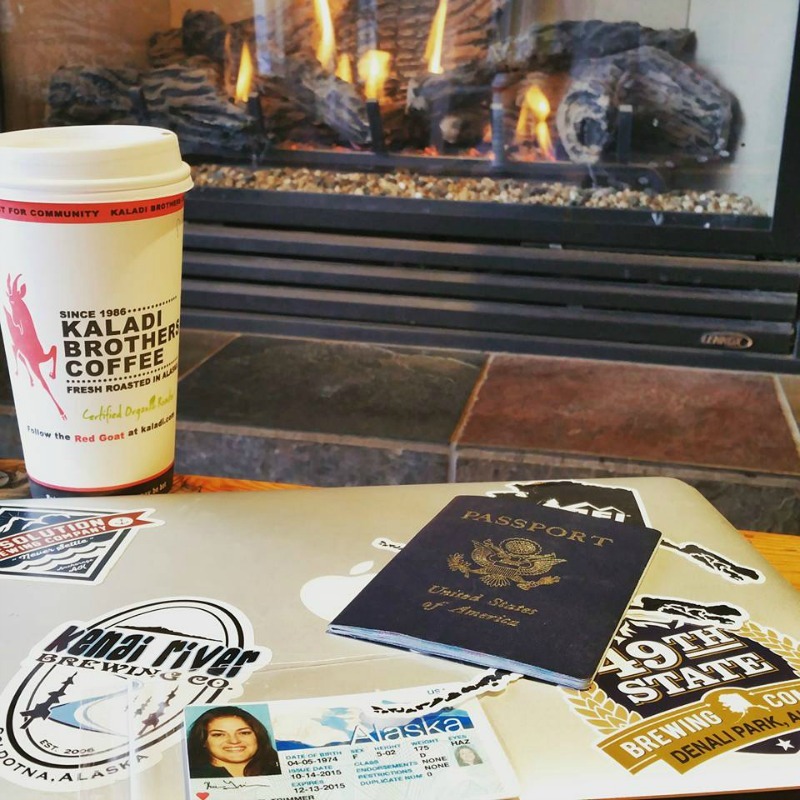 I took a deep breath – it was time to get ready to travel 36 hours to Costa Rica with Southwest Airlines! Enjoying the morning before two days of traveling and making my love of Alaska official. My first flight was to Seattle where I had a 3-hour layover. I then flew to Portland where I had a 9-hour layover. When I retrieved my bags from the Delta carousel, I saw that the entire frame had been broken off. My stress level rose out-of-control wondering how was I going to manage this trip with a broken bag? Ugh! 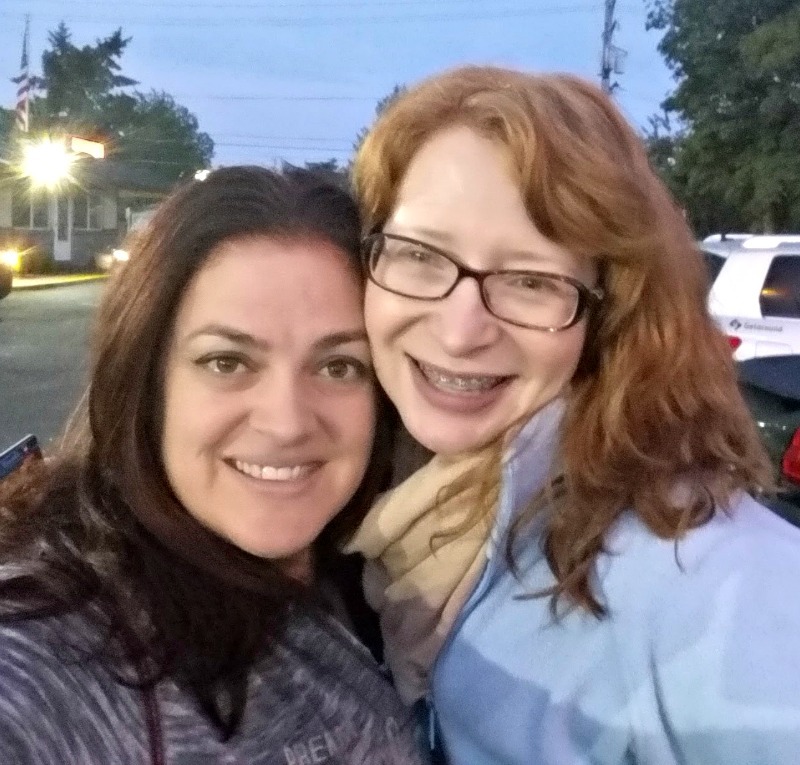 My bestie, Lisa was in Oregon for the summer and met me at the airport. She came with soy-free snacks, wine, and a big ‘ol hug! We might have only had a few hours together… and I treasured every one of them! Early morning selfie as she dropped me off at PDX. I went directly up to the Delta counter and thankfully Rick, who was working the Sky Priority counter, looked at my broken bag and said… let’s get you a new piece of luggage! I told him how I was flying with Southwest Airlines on their inaugural flight to Costa Rica from Houston, and that I had no time to go shopping before I took off. I had to duck tape my suitcase shut! He walked me to where they have an array of suitcases and set me up with a new silver one. He also said to tell Southwest Airlines Congratulations on going international! I loved that there was no rivalry, but a sheer well wishing for an industry partner. Well done, Rick. My new luggage was ready to go to on Southwest Airlines Inaugural Flight to Costa Rica! Only a couple more flights though first. 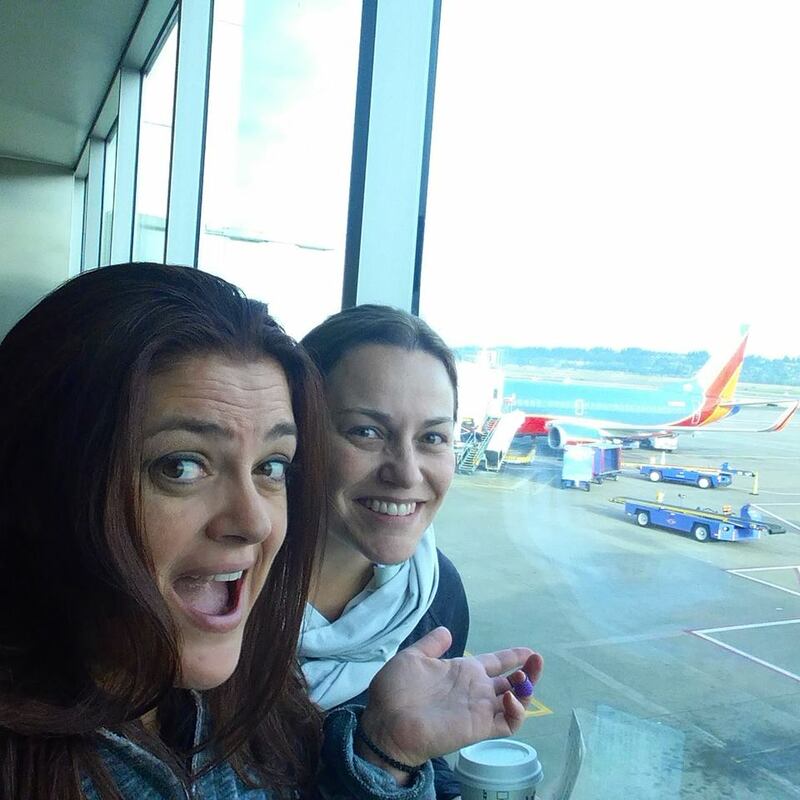 Jana Seitzer, with MerlotMommy, is one of my favorite traveling partners and was joining me on this epic trip to Costa Rica. She also brought the Force with her, apparently. These Star Wars luggage were stopped for pictures all day long and won the award for best luggage of the day! May the Force be with you as your travel! I clearly need a set of these! Jana and I as we get ready for our first flight to Denver on Southwest Airlines from PDX. Our flight out of Portland was delayed as there were mechanical issues with the plane. The WiFi at PDX wasn’t working so the plan to get work done went out the window. Not seeing a spec of WiFi would be an issue all day long in every airport. But the view… ahh the view from the plane kinda made up for it. When we landed in Denver we raced over to our gate as we had a short time before we took off. That’s when my stomach decided it did not like the green juice I had that morning. Let me tell you, traveling with a pissed off stomach is no bueno. I visibly had turned a light pale-green color and I thought I was going to miss my flight. It was a stressful moment, I downed some meds to help calm my stomach down. Thankfully, I made the flight and just before we landed in Houston, my stomach decided to calm down. 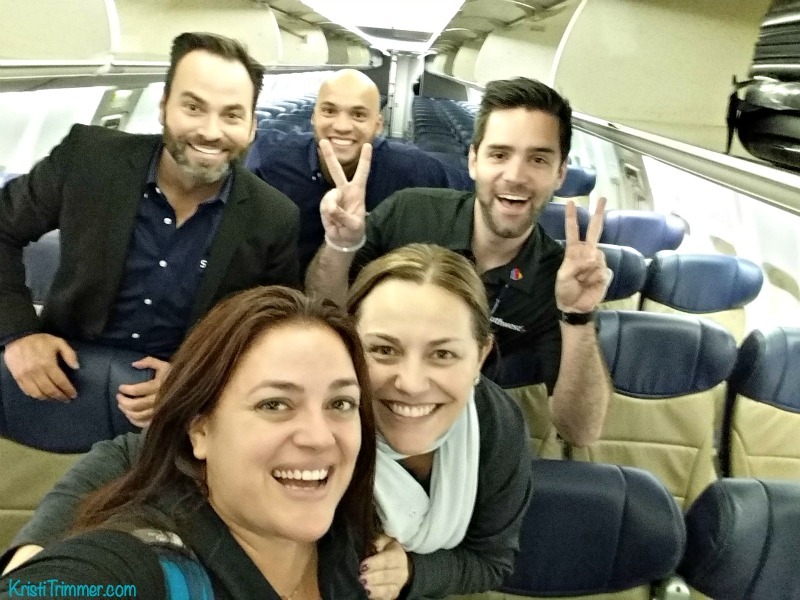 Flight selfie with the Southwest team! Happy Flight Time! Our Southwest Airlines Captain ready to take us on this epic flight to Costa Rica! Southwest Airlines Vice President of Ground Operations, Steve Goldberg welcoming us on board – thunderous applause ensues! 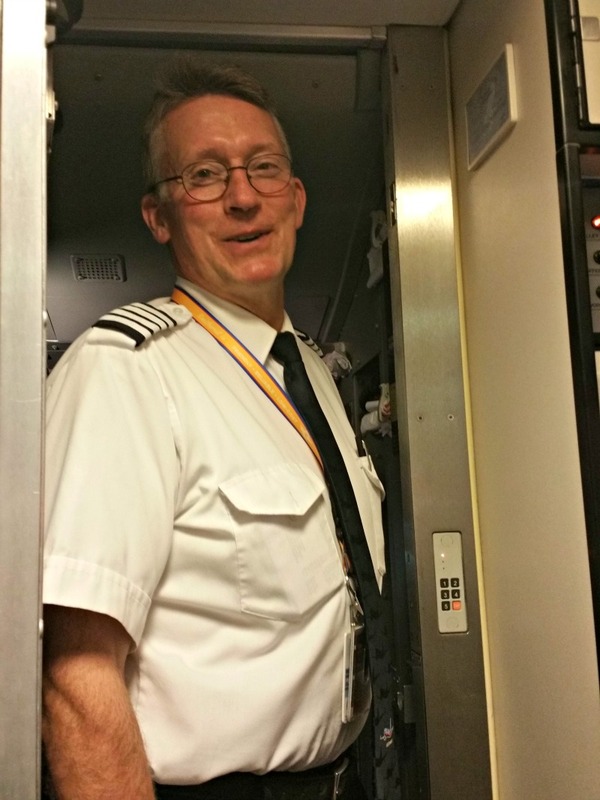 The flight was a lot of fun a – where else do you have flight attendants singing to you? I loved it! 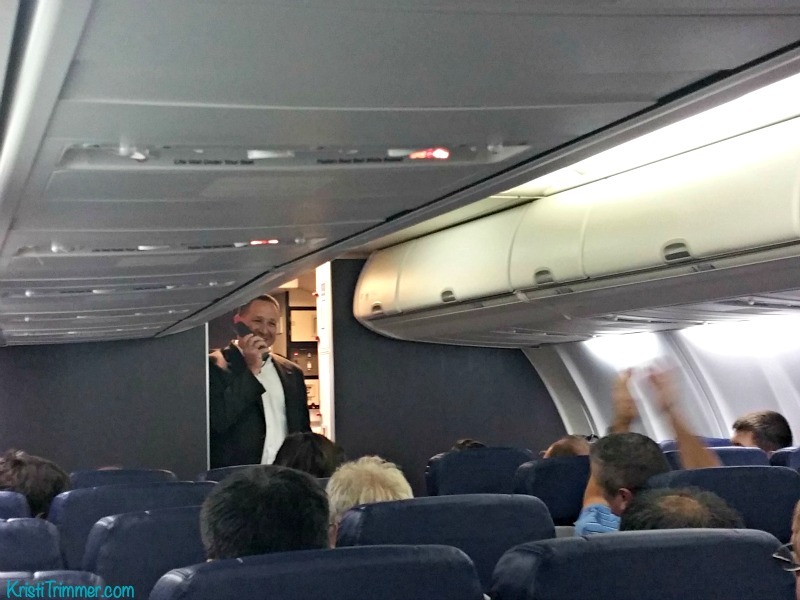 We also had two bachelor parties on the flight… why yes, that was a story all onto itself! 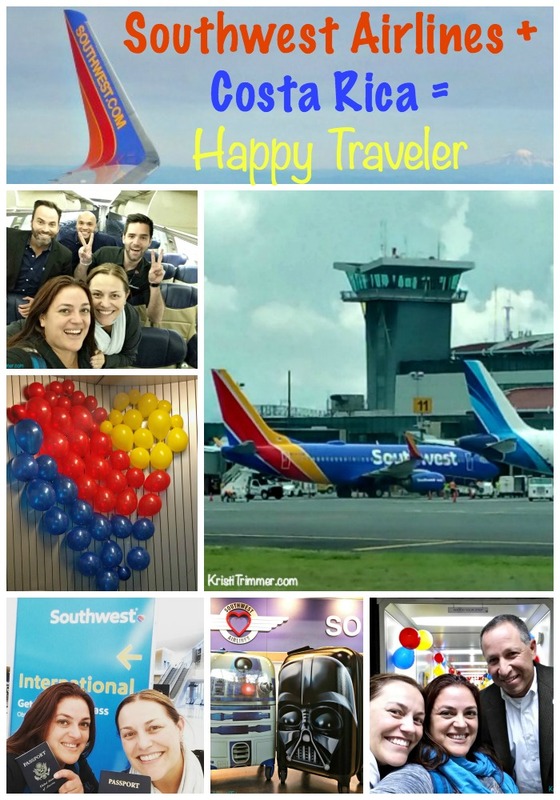 It was so nice to laugh with everyone, share where our travels would take us in Costa Rica, and also to see how happy and excited the Southwest Airlines staff and crew were. For me, I love seeing people and companies succeed. After 47 years, Houston Airport now has international flights again thanks to Southwest Airlines. That’s a job well done if you ask me. 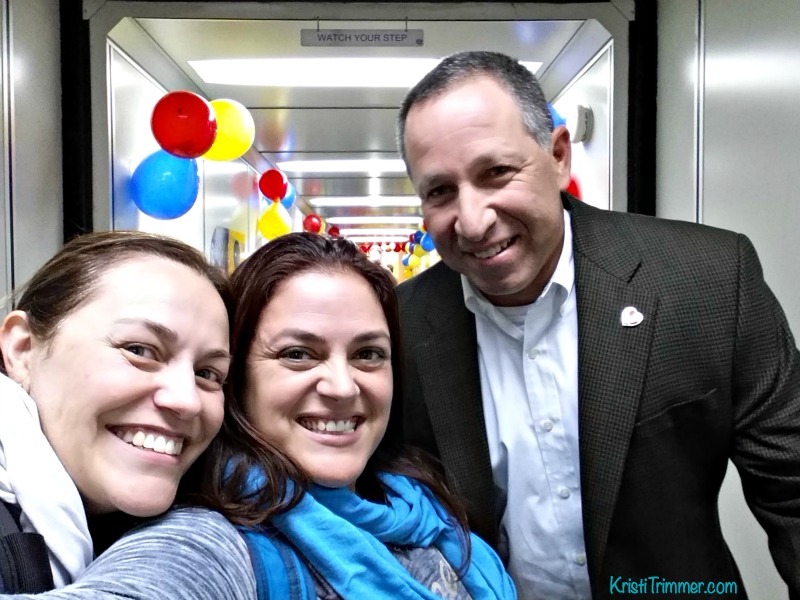 Celebrating with Southwest Airlines VP in San Jose, Costa Rica! Vida Pura! 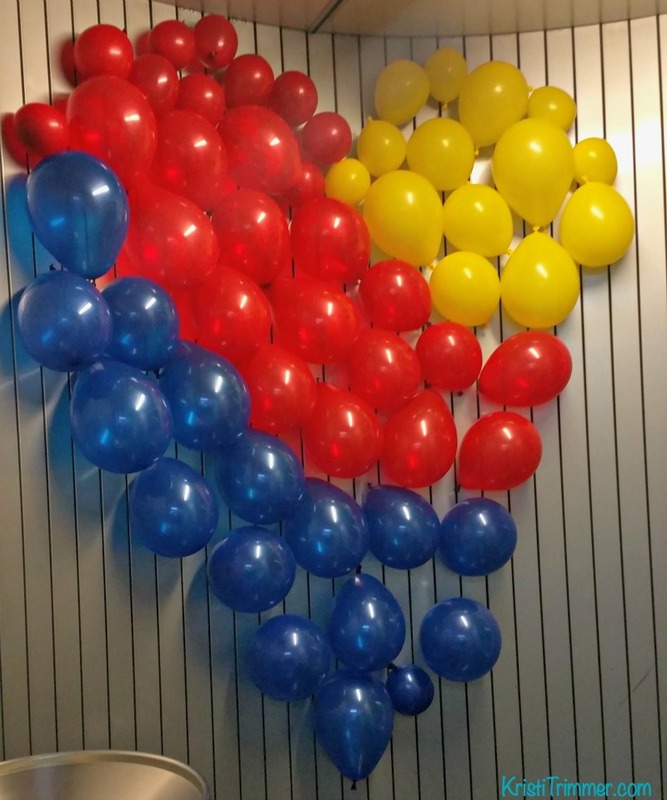 Just a little Southwest Heart to welcome the first Southwest Airlines flight to Costa Rica! 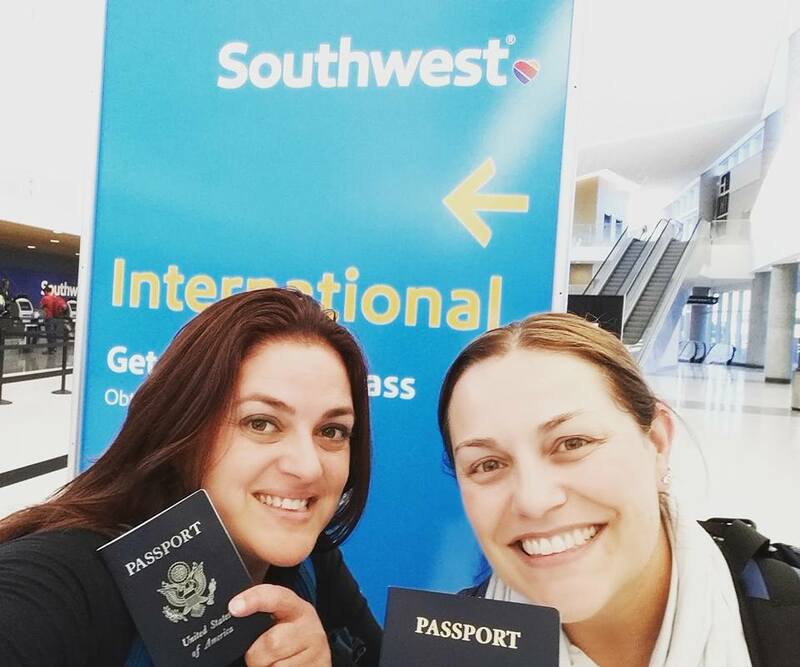 We loved the Southwest Crew, the easy flight and now we are in a tropical paradise. Thanks Southwest Airlines! After 36 hours of flying, I made it safely to San Jose, Costa Rica on the inaugural flight with Southwest Airlines. It was a once-in-a-lifetime experience. I was blessed to share it with one of my favorite traveling partners, Jana. I’ve never been to Costa Rica and what better way to see a new country than with one of my favorite people. Let’s go exploring, Jana. Thanks Southwest Airlines for putting two bloggers on your plane. We loved your hospitality and the care your staff showed us every step of the way. Stay tuned as Jana and I go exploring the Osa Peninsula in Costa Rica. We fly out to the Osa Peninsula to stay at the Iguana Lodge. This place looks utterly amazing and we just can’t wait to soak up the sun, relax on the beach, and enjoy our time with the holler monkeys and macaws! Disclosure: My flight was on Southwest Airlines was complimentary in exchange to take the flight and give an unbiased review of my traveling experience. Links within this post may contain affiliate links that I earn commissions from. Example, if you click on the above luggage link and purchase anything from that site, I make a small commission, no matter what you purchase. This is how I pay for my travels and this blog. Thank you for supporting me! That looks like a really hospitable flight. I don’t know Southwest Airlines – I guess they are only in the US? I didn’t know that Southwest went international..I’ll have to look at their flights next time I fly US to Central America. Enjoy your time in Costa Rica. First of all, I’m blown away that your luggage was replaced. I hope that’s standard service and wasn’t just because you’re a blogger/reviewing their service, because that would be truly exemplary. Second, looks like you had a great time! I know the struggle of 36+ hours of traveling so it’s nice when the experience is fun. 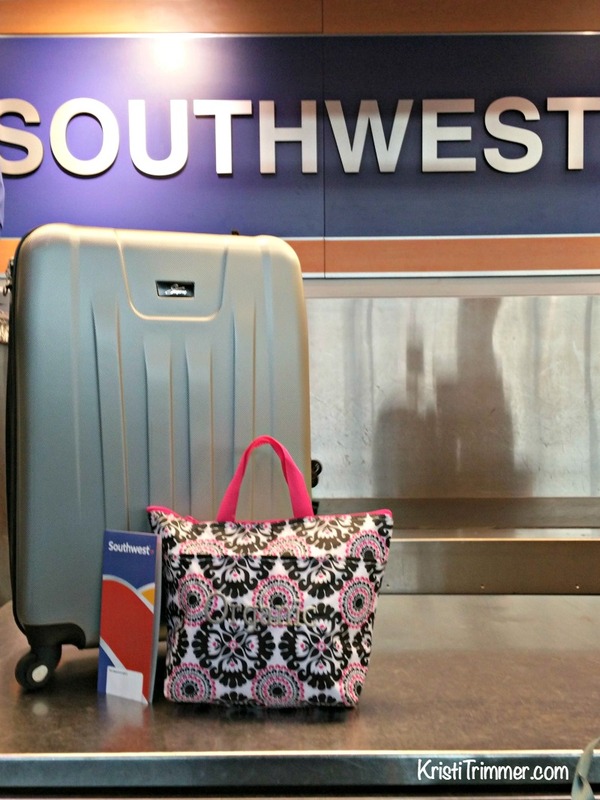 So great that your suitcase was replaced – fantastic customer service! 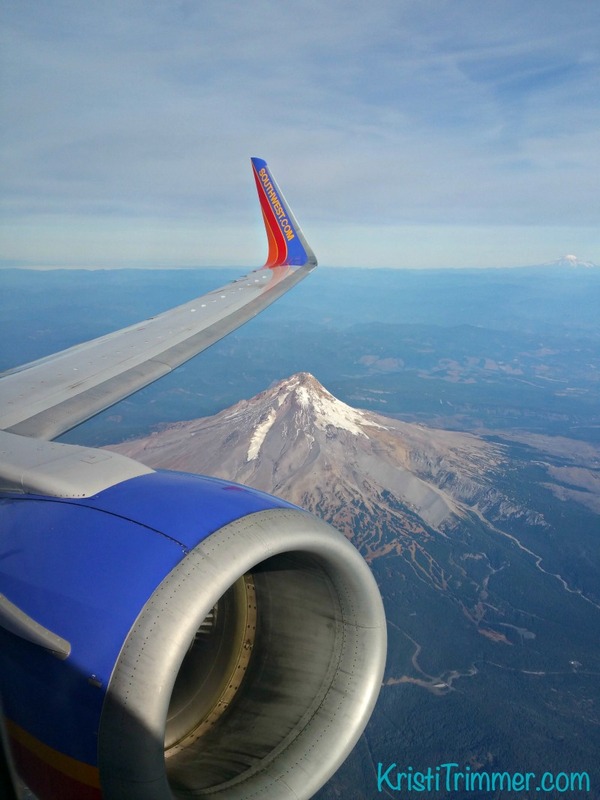 I haven’t flown Southwest in years – great news they offer international flights. What an amazing experience! I’m so glad to hear that Southwest has gone International.